These are my 1st homemade muffins and let me tell you that they came out unexpectedly delicious. They are light, fluffy and full of flavor and most important: they are very easy to make. I bet that a 4 year old toddler could easily bake some 😀 . Basically this is the easiest recipe ever 😀 ! Then guess what? 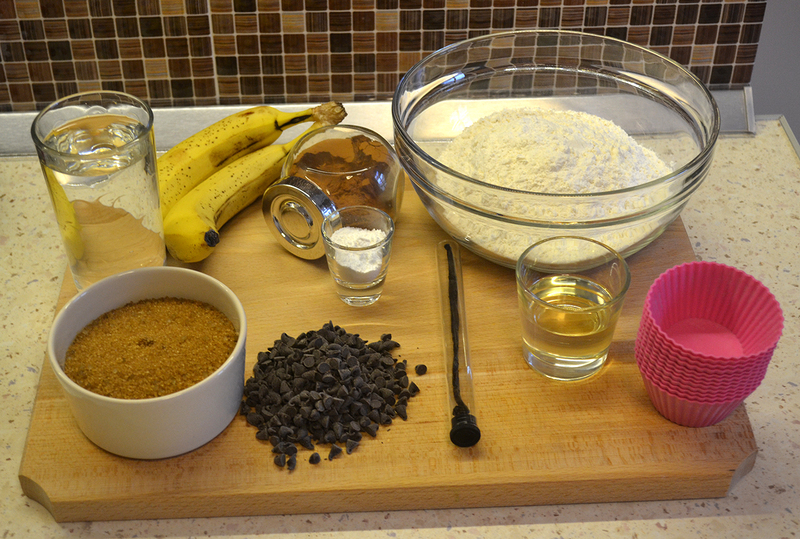 You pour the 2nd bowl into the 1st bowl and you mix the dough very well with a vertical blender. If you don’t have one you can just use a fork, but remember that you cannot add the vanilla stick as it is, because otherwise you will be left with a stick in one of your muffinsJ. Instead you can use vanilla extract or you can scoop the vanilla stick with a tea spoon and you’re good 😀 . Here comes my favourite part: sprinkle the chocolate flakes in the bowl and mix them a bit, until they incorporate well in into the dough. YES! You can now fill up the muffin cups and put them on a tray in the preheated oven at 190 Celsius degrees for about…let’s say 35 minutes 😀 . Live the muffins to get cool before you take them out of the cups. 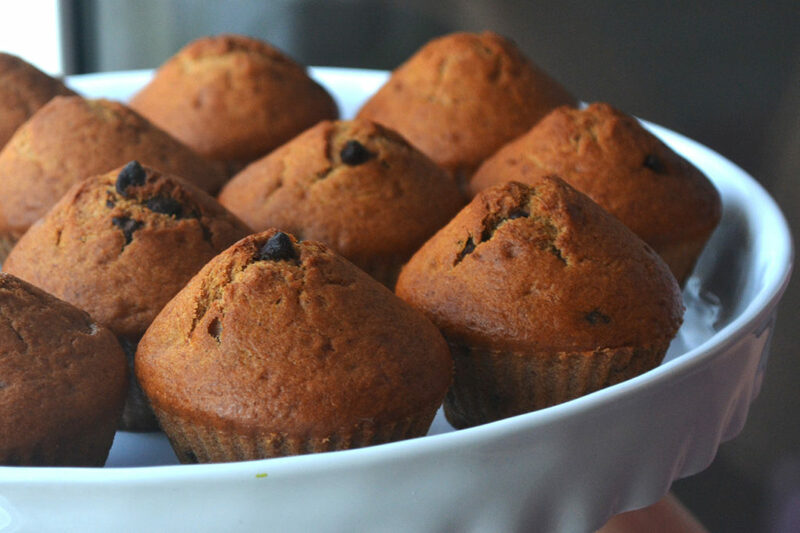 These muffins are pretty healthy and you can make them very quickly for any special occasion, for the morning tea and even… for the hungry husband, who eats sweets like a child 😀 !!! Sunt preferatele Marei,doar ca eu inlocuies ciocolata cu afine?…sunt delicioase? Da… si cu afine ies senzationale. Te pup Alina!